Just weeks after celebrating the 50th anniversary of his ordination, former Hong Kong YCW chaplain Fr Tom Danaher MM has died in the US. “I discovered hope within the people struggling against repression and torture..such hope could only [come] from God, ” Fr Tom said in a quote published on the Maryknoll Twitter Feed last month. 1963-1965: Parish priest at Our Lady of Nativity Parish, Tung Tau Tsuen, Kowloon. 1965-1969: St. Peter in Chains Parish, Kowloontsai, Kowloon. He served as chaplain for the Young Christian Workers in that parish. 1966-1969: Along with other Maryknoll priests and non-clergy, formed a labor advisory team to address industrial labor disputes. 1973-1980: Served as chaplain of the Young Christian Workers National Team. He worked to obtain better living and working conditions for the people. He lived and ministered at a workers’ center in Pui Man Village in Kowloon City. 1976-1981: Maryknoll magazine’s Asian correspondent. 1984-1986: Pastoral duties at a parish in Santiago, Chile. 1997-2009: Asia – Hong Kong – Assistant Pastor at St. Matthew the Apostle Parish, Tuen Mun and ministered at Tai Lam Women’s Prison. “Former YCW will have a Memorial Mass for Tom on 29 August, at 7:30pm in St Stephen Parish, Kowloon,” said Mary Ho Fung Bing, former Hong Kong and IYCW Asia-Pacific YCW leader. 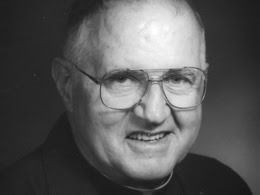 Father Tom died very peacefully Monday morning August 13th at a hospital in Sleepy Hollow, New York (near Maryknoll headquarters), a family member informed us. His funeral will be held on Monday 21 August.